Hyped is the go to social platform for youngsters with a digital lifestyle. 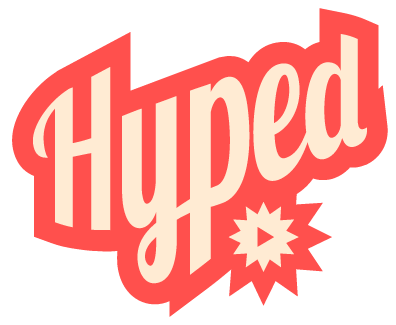 Haarlem, September 30rd 2016 | Publisher Reshift Digital launches Hyped, the first social only platform in the Netherlands. No double-u double-u double-u or magazine, but a plain focus on social media only. “Apps like Facebook and Snapchat, that is where youngsters are these days. And that is exactly where Hyped publishes their videos”, thus editor in chief Elmar Rekers. With a complete social only editorial office Hyped produces short and bite-sized items about gadgets, games and digital lifestyle. Hyped-watchers don’t need to click to go a website to read the full story. Instead, they receive the latest news, coolest video’s and best tips exactly where they like them to be: on their social channels. “Facebook, Snapchat, Instagram, Twitter, YouTube; we serve our young and active community bite-sized video’s on all established social channels”, tells Rekers. “And we’re Hyped, which means that we have an highly enthusiastic look on gadgets, games, lifestyle and everything slightly connected to that. Hilarious snaps from our editorial office, singer Jeff who raps about gadgets – our items include everything that youngsters appreciate. To celebrate the launch of their new platform, Hyped will give away awesome gadgets. Self-declared as the ‘easiest giveaway ever’ Hyped drops gadgets in different cities in the Netherlands. Actually giveaway should be replaced with ‘pick up’ because that’s all participants need to do. Via the Hyped social channels daily hints will be given, whereby every tip will reveal more about the exact location. So follow Hyped, and pick up that price. That is what we call #mooiedingen (good stuff). More information? Don’t go to Hyped.nl, but follow us where we are: Facebook, Instagram, YouTube, Snapchat and Twitter. Reshift Digital is publisher from a variety of on and offline brands such as, Computer!Totaal, Power Unlimited, Zoom.nl, MacWorld, PCM, Gamer.nl, Lifehacking.nl and Computer Idee. Magazines and websites where users can turn to for help by use (and purchase) of tech related products. Hyped not only focusses on this tech crowd, but want to inform, help and entertain readers on all lifestyle levels.